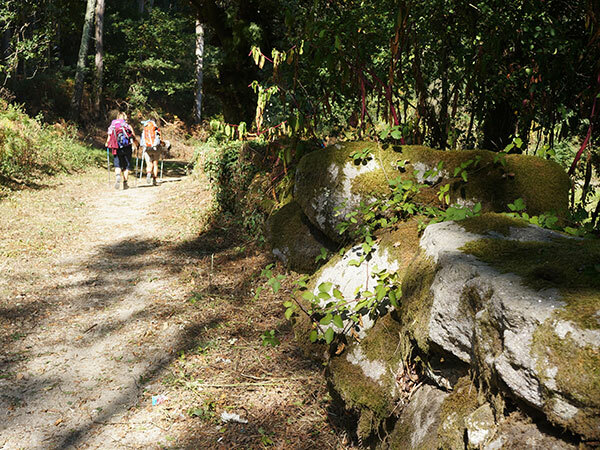 The Portuguese Way or Caminho Portugués is the second most popular route of the Camino de Santiago after the French Way, according to statistics from the Pilgrims Office in Santiago. If you have a sweet tooth, Portugal is the place for you, the country has a fantastic range of cakes, pastries and sweet treats. 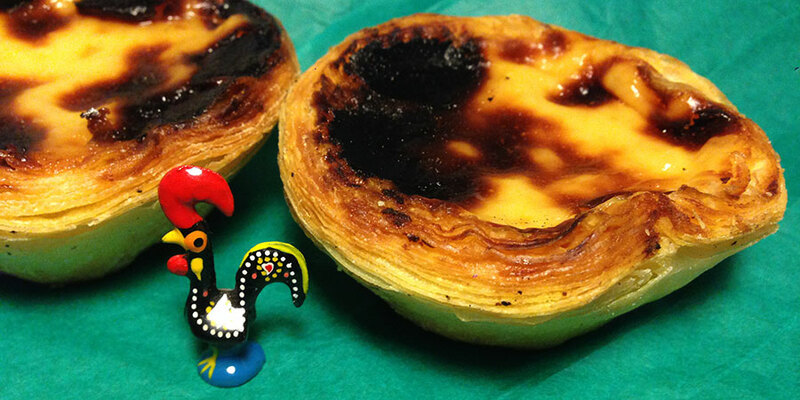 The most famous one is probably is the custard tart from Belém, pastel the Belém, and its close ‘cousin’, the ‘pastel de nata’. A crunchy pastry with exquisitely sweet custard, quite likely to make it to your daily treat list every single day you spend in Portugal! You can’t get more traditional in terms of Portuguese cuisine than salted cod or ‘bacalhau’. 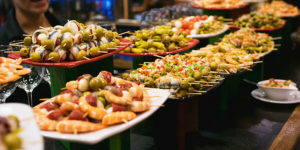 Ever present in menus across the country, you will find it grilled, with cream, in fish-cake format (pastéis de bacalhau), à Brás with onion, potato, egg and black olives, among many others. A must-try if you are walking the Portuguese Camino. 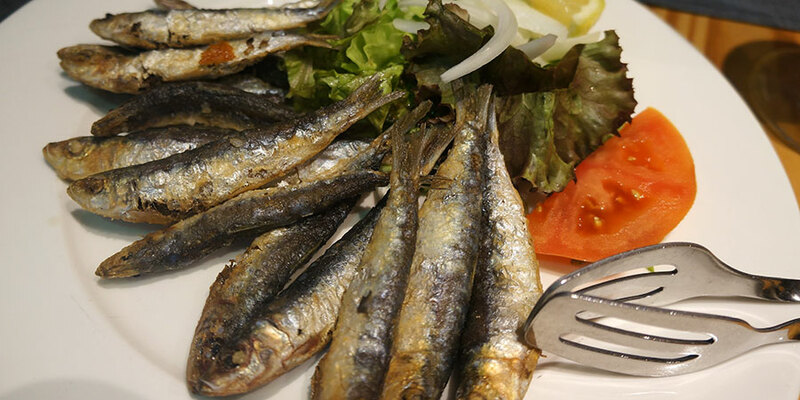 Grilled sardines or ‘sardinha assada’ are a another classic Portuguese dish, celebrated from North to South, particularly around the Summer months, specially for the Saint Anthony festival taking place in Lisbon in mid-June. If you are missing a warm soup, then try Portugal’s classic ‘sopa de caldo verde’ or simply ‘caldo verde’. 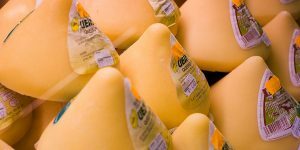 Originally from the North of the country and similarly to its Galician ‘cousin’, ‘caldo verde’ basic ingredients are collard greens, potatoes and onion, with many also adding sausage or other pork meat, so vegetarians beware! Francesinha is Portugal’s most famous sandwich, from the Porto area. But this is no ordinary bread and cheese combination: the francesinha list of ingredients includes bread, sausage, roasted meat, melted cheese on top and a hot tomato and beer sauce. Can your average sandwich beat that? Alheira is a type of sausage made with non-pork meats, usually chicken, veal, duck or rabbit. It was originally invented by Jewish population of Portugal, to escape the country’s Inquisition. These popular filo pastries filled with custard were invented in the XIX century in the Nossa Senhora do Carmo convent, in the Coimbra region. Another deliciously sweet treat. Also from the Coimbra region, you have the succulent ‘leitão à bairrada’, suckling pig roasted in the traditional way, one of Portugal’s best known dishes. Fish and seafood lovers are in for a treat in Portugal. You will find seafood rice or ‘arroz de marisco’, as well as a wide variety of shellfish and seafood, in most of the country’s restaurants, particularly if you are walking the Portuguese Coastal Way along the Atlantic coast. Rissóis are deliciously fishy snacks in a half-moon shape, made with béchamel sauce and usually fish or shrimp, then breaded and fried. Grab a few of these along the way to keep you going on your Camino! And if you are looking for a classic Portuguese drink to go with these fantastic Portuguese Camino foods, go for vinho verde or a Douro wine with your meal, a sour cherry liquor ‘ginginha’ or glass of Port wine for afterwards and a Portuguese coffee to enjoy with sweet pastries. 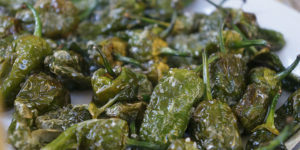 *If you would like to learn more about Portuguese Camino foods and the Camino de Santiago, or to book your Camino trip on the Portuguese Way or Portuguese Coastal Way contact the CaminoWays.com travel experts.